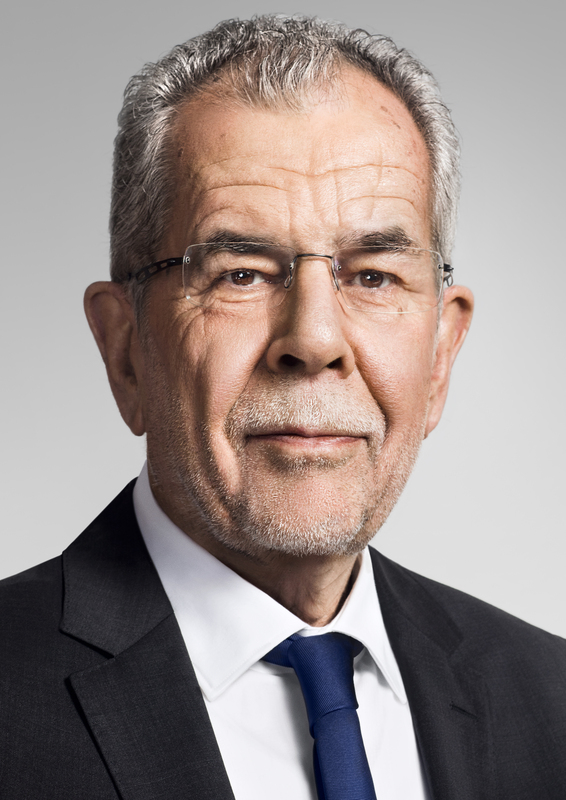 Dr. Alexander Van der Bellen was born in 1944 in Vienna and raised in Tyrol. On 26 January 2017 he was inaugurated as Federal President of the Republic of Austria. After obtaining doctorate in economics from the University of Innsbruck in 1970, he started his academic career. He became a full tenure professor of economics at the University of Vienna in 1980. He went into politics at the end of nineties as a Federal Spokesperson for the Austrian Greens (1997–2008) and Chairman of the Greens’ Parliamentary Group (1999–2008). In 1994 he was elected Member of the Austrian National Assembly after which he went on to become a Member of the Vienna State Parliament and the Vienna City Council (2012–2015). He had an Honorary function as Commissioner of the City of Vienna for Universities and Research (2010–2015) and was awarded Grand Decoration of Honour in Gold with Star for Services to the Republic of Austria in 2004. Married to Mag.a Doris Schmidauer.